On the bitterly cold days of winter, I am less likely to take my daily photo walk. On these days, I am content to practice still life photography. I wander from room to room in our home, paying attention to even the tiniest details, looking for something to focus my camera on. Something beautiful. Something peaceful. I recalled a photo that moved me deeply. It was a simple picture of a little white ceramic dish holding bright raspberries, resting in the center of a leather-covered chair seat, bathed in warm sunlight, against a teal-colored floor. The photo was taken by Leila Peterson and featured on her blog post, Nance in Paris, from March 2017. 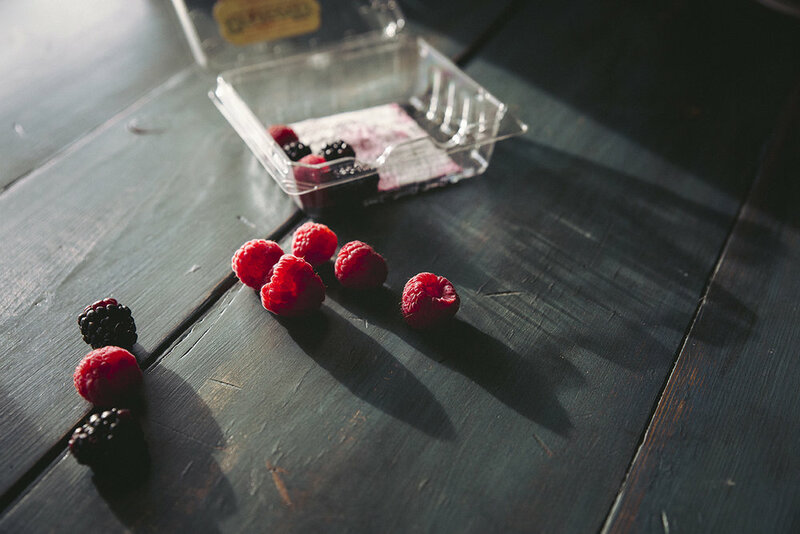 Leila’s photograph inspired my own, where all that was needed were raspberries and light.